Looking back on the year, as one does on New Year's Eve, I initially assumed it would be hard to find enough good games to make a list worth reading. It's not that I haven't played many games this year, just that a lot of the big titles I have either skipped, or not really enjoyed. As it happens, I'd just forgotten a couple of great games from earlier in the year! So here are my top five games of the year, in roughly their order of personal enjoyment. 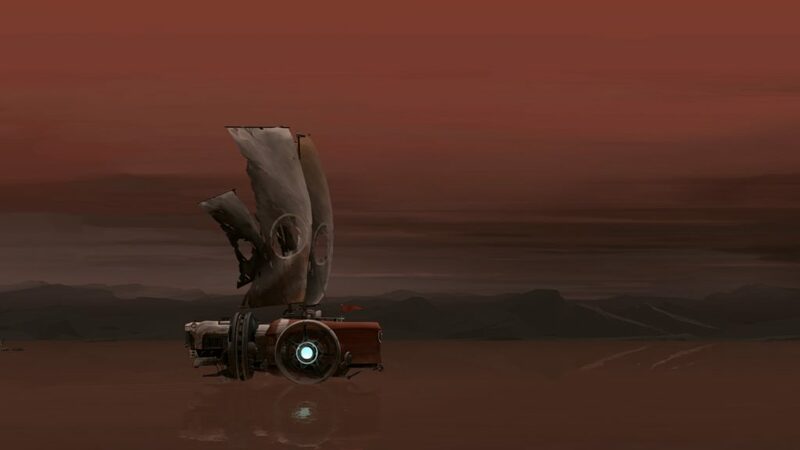 Repair, upgrade and sail across a desolate landscape until you reach the end. There's not really a story to it, it's really short, but it's a wonderfully serene ride, interspersed with occasional bits of tension. Most of the puzzles are fairly easy, but satisfying to figure out. 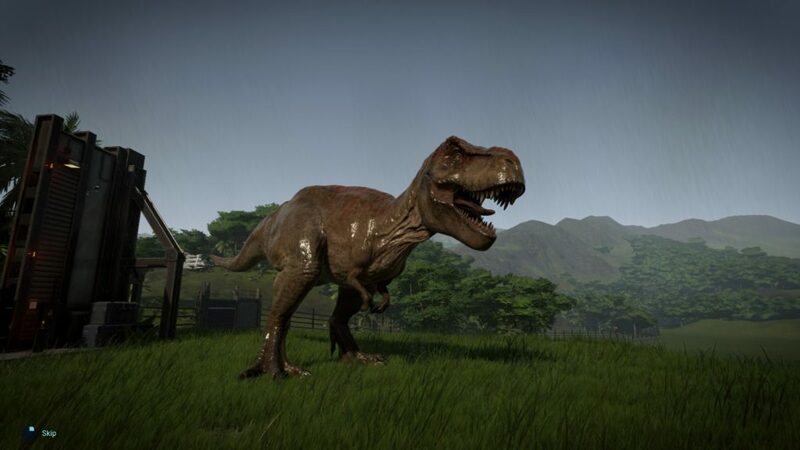 A park building simulator with a bunch of dinosaurs? Yes please. Being that it's based particularly on the more recent Jurassic World series, it's not just straight up genetic replication as you can alter the animals' genetic makeup. Changing everything from colouration to aggression levels can make your zoo more popular, but also much harder to manage. Dinosaurs can break out of their enclosures, and then there's screaming and running... and sedating the beasts from your helicopter! There's only a set number of maps, no real open plan or random generated terrain. But that hardly matters as you can tinker with your various paddocks pretty much endlessly. The Monster Hunter series has a long history in Japan, where it has been insanely popular over many generations. While some entries have done quite well in "The West", it's never really taken off. Partly because of some really clunky mechanics, like the many loading screens needed to finish a single monster hunt. 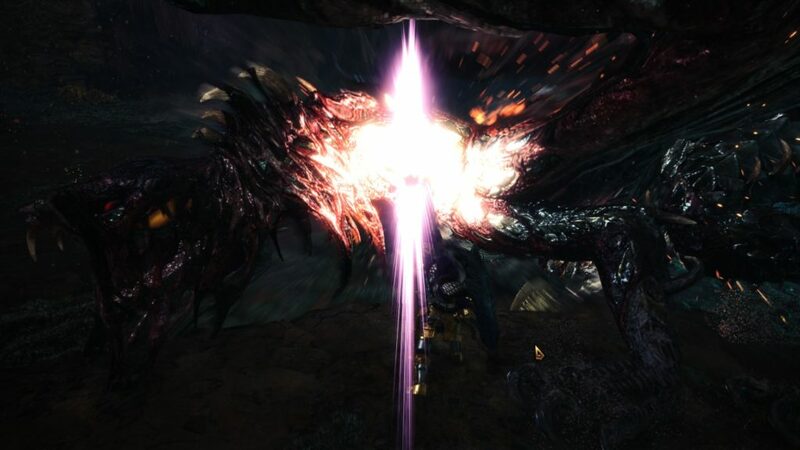 All that is gone in World, you can chase monsters across a pretty large, completely open map. Actually, a half dozen maps in total, each featuring a very different environment in which to stab, bash, ride and shoot monsters. BIG monsters. With so many different weapons and armour sets to collect, you could be at it for hundreds of hours. If you've the patience, anyway. It can become something of a grind, particularly past Hunter Rank 50. Yes, it's buggy as heck. And feels kinda unpolished in parts. And you're at the mercy of the internet's reliability, and the people on the internet not being as terrible as usual. 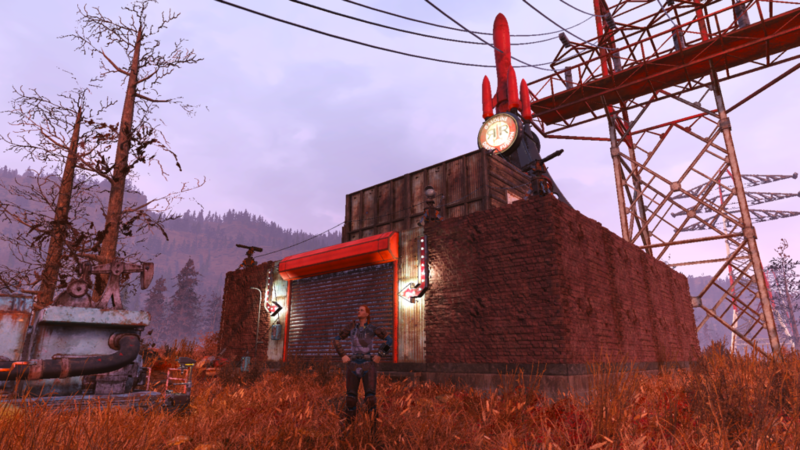 Fallout 4 is still my favourite, but I've been playing Fallout 76 pretty much every day since it was released. For more on this, see my article on Player Attack: Fallout 76 is still fun for the lonely and friendless. A post-apocalyptic city building survival hybrid? The world has entered a new ice age and you're the mayor of one of the last cities on Earth. Build warm houses, set up furnaces to keep everyone warm and enact laws to keep everyone in line. Things usually start off fairly easy, with the temperature barely below zero. As you start building up your city, gaining new people and better facilities the temperature will start dropping, sometimes precipitously as storms strike, with occasional thaws to give you time to recover. 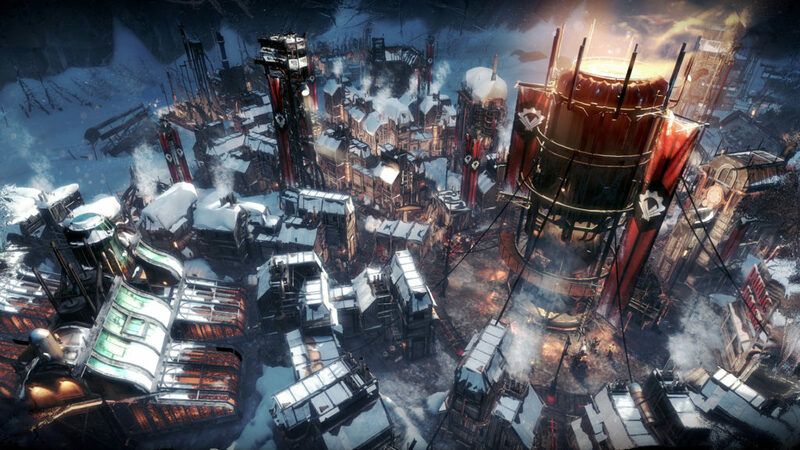 Frostpunk also happens to be my favourite review of the year. Can't take all the credit as all I did was write the script while excellent bosslady Jessica Citizen presented it for the Player Attack TV show. But the result is wonderful, if I do say so myself. Please watch it! Hope everyone has a wonderful 2019! A key issue separating the two main parties in the upcoming Federal Election is whether gay marriage should be legalised. Labor seem keen to bring marriage equality to Australia and are promising to legislate to that effect within the first 100 days. The Liberal and National Party Coalition favours maintaining the status quo, but have begrudgingly been drawn into allowing the Australian public an official say in the matter, via a national plebiscite. On the surface, the Coalition's planned plebiscite seems good. Public opinion polls typically reveal a majority of Australians are in favour of allowing homosexual partnerships the same recognition as heterosexual ones. Discrimination in legislation between the two has been steadily phased out over the last decade as public perception shifted. It was no longer okay for "de facto" heterosexual relationships to enjoy rights above those of equally committed homosexuals. The actual "marriage" bit, however, has remained a sticking point. So if the public are generally supportive of the change, or at least won't care, why hasn't it happened? Religion, mostly, and a fear of change. A lot of the arguments boil down to, "God said Adam and Eve, not Adam and Steve" or that marriage has traditionally been between a husband and wife. While there have been exceptions in history - notably, numerous instances of multiple wives for a single husband - for the most part it has been true. One man, one woman. And the lord or chieftain of the tribe gets first dibs on the wedding night. Tradition! The outdated beliefs held by a minority of the population would not be an issue, but for the fact that organised religion has had a millenia to practice manipulating governments at the uppermost levels. They mobilise their communities and hold the condemnation of God over their heads to ensure obedience, getting desired candidates into positions of power. A plebiscite cuts out the middlemen. No political branch stacking or dirty tricks, just a straight vote by the public. Marriage equality, yea or nay? Nay, not quite. The problem with a plebiscite is it's not legally binding on the government. Even if the result came back with 95% of the public being in favour the government can simply ignore it, or cite the 5% as reason enough not to legislate. Which is garbage. Completely legal but morally and ethically questionable, at best. The only positive thing that could be taken away from that situation is that the public would finally have very solid, incontrovertible evidence that it should be legalised. And we will know exactly who to blame. Which is why I am in two minds on the process. I kind of want the plebiscite to go ahead, because the apple cart badly needs to be kicked over on this, though it likely means a longer path ahead for marriage equality advocates. But then, what if we hold a very expensive plebiscite and the public says no? Then it's an even longer path and possibly another expensive plebiscite in the future. And all because some people think boys kissing other boys is icky. Who’s The Minister For Men? Towards the end of 2014 the then Abbott Government reshuffled their ministry, including promoting a second woman to the cabinet. But what really got people's noses out of joint was the Prime Minister of the time, Tony Abbott, declaring he'd be the Minister for Women after one was not even assigned in their first year of Government. Whilst having a man in the role did not especially bother me, Abbott seemed an exceptionally poor choice for a number of reasons, perhaps best highlighted by him having been taken to task by Prime Minister Julia Gillard for a string of misogyny. Another man in the role might have been okay, but nobody outside the Liberals thought he was an appropriate choice. Many among the Liberals probably thought it was ridiculous as well. In amongst all this kerfuffle something caught my eye, as it has many times in the past. There's a Minister for Women, but there isn't a Minister for Men. Now, I don't mean to imply there should not be a Minister for Women. Clearly that's a position that needs to exist as there are deeply entrenched biases and discrimination against women in society, from pay inequality to domestic violence rates to reproductive healthcare and so on. Women need a champion for their rights in the political sphere, unquestionably. But what about men? People like to carry on about men having all the advantages in life already, but there are problems men face that are specific to them and they could equally use a champion for their cause. Perhaps the best, least controversial, example of this is the simple fact that prostate cancer rates outstrip breast cancer. Prostate cancer is an exclusively male disease yet it gets a fraction of the attention and funding of breast cancer. Women are typically the victim, not perpetrator, of domestic violence, and it's by a very large margin. Even when men are the victim, it's often other men as the abusers. But the number of male victims is not zero. Yet the support available for such men is nonexistent. Men approaching "domestic violence support" organisations are turned away because they're not women. Not that there's no resources available, they're just not geared towards supporting men, aren't interested in doing so or even express outright disdain for men needing their help. Maybe the problems facing men aren't as large as those of women, nor are the inequalities perhaps as pronounced, but it's always seemed clear to me that men face some unique issues that a devoted champion to stand up for them would make sense. Not as a competitor, or counterbalance to the Minister for Women, purely as an advocate for the specific issues facing men today. Perhaps that's what all the other ministers address and we don't actually need a specific Minister for Men, but given that the Minister for Women role was entirely ceremonial under Tony Abbott... why not, right? Anyway, I tweeted about this at the time and pinned it to the top of my profile for over a year and only ever got one slightly sarcastic reply that implied I was just looking to cause trouble. I wasn't, I just find it interesting. Have ever since a discussion during a School Council meeting where a Head Teacher for Girls was mentioned and nobody could tell me who the Head for Boys was, and couldn't explain why there wasn't one. Turned out there was one, it just didn't come up a whole lot so nobody there happened to know off the top of their head. Much has been made of the relative lack of females in the "triple-A blockbuster" field, but it is unfair to focus on particular titles or developers. This is an issue the industry - and consumers - must face as a whole for progress to be made. Those of you who follow me on Twitter have probably seen my various tweets over the last week and a half chronicling my efforts to earn enough in-game gold to purchase a World of Warcraft Token. Well, the experiment is over and I did not reach my goal. However, starting a character (almost) from scratch and getting to level 63 with over 6,000 gold in the bank is no mean feat, especially when it all needed to be done within a 10 day trial of Warlords of Draenor. I say "almost from scratch" as I did use chest and shoulder pieces of armour from the Heirloom system, as well as two of the swords. The armour provided a 20% experience boost and the swords and armour both automatically level up, making gear hunting fairly unimportant. There are actually two more pieces of armour I could have had, but they require membership in a guild. I think. That covered the levelling up part, but the money making I did entirely from zero. And the truth is that with more patience and diligence I probably could have made quite a bit more. 6,000 gold really represents the "quick and dirty" approach. All you really need is to take up the Mining and Skinning professions as soon as practical, then sell all the ore and skins you find on the Auction House with the assistance of an auctioneering addon. I used Auctioneer but Auctionator is also supposed to be good. There's no real trick to it. As a Human I would visit Stormwind regularly while adventuring and check the Auction House each time. Hit the Scan button that Auctioneer adds and wait for it to collect all the listings. The first few times, preferably over the course of two days or so, just scan the auction house and hold on to your goods. Once the addon has built up a fairly reliable set of numbers you can go to the Post tab and put all your Copper Ore (or Bars, if you've smelted it - neither seems more or less profitable at low levels) up for auction, telling it to undercut your competitors. That's where you could stand to make a bit more money. By tweaking the undercut percentage or only selling when you know that prices are high, you can get more for your goods. As I was under a time constraint and also didn't really want to go to too much effort, I mostly just listed it for whatever Auctioneer said and moved on. Time spent dithering on that screen was time I wasn't out levelling up or digging up more things to auction off. So, why didn't I reach my goal? Well, the current price of a WoW Token is 27,000 gold, or thereabouts. With a full month I expect I could reach that total, but in 10 days with no assistance I'm not sure it can be done. But gosh, it was fun to try. I hadn't been playing any MMOs in a while, not until my old Star Wars Galaxies friends decided to hop on one of the server emulators. Since then it's been about all I have played, in just about every spare chunk of time I could find. But in the last couple of weeks SWG friend number one hasn't even logged in and SWG friend number two is moving to another city for work and won't be playing for at least two months. It's not as much fun when there's nobody to babble at and issues with the emulator are also sucking the fun out of it. With all the Star Wars excitement around at the moment I tried to finish Star Wars: Knights of The Old Republic, but it is so horribly clunky and is really showing its age now. And I already know the big twist because it's Star Wars and I know EVERYTHING ABOUT IT. Maybe the other Star Wars MMO? Resubscribed, played through the newbie area for Jedi Knights, got fed up, unsubscribed. Then, at Gamescom, the next World of Warcraft expansion was announced. Legion. They're adding Demon Hunters and cool artifact weapons and a newer kind of garrison thing. And probably other things. The last time I played WoW was during the Warlords of Draenor beta, when I wrote a thing for Player Attack on the Garrisons that you could read here, if you want. I thought my previous stint outside of betas must have been during Cataclysm as I remembered playing a Worgen. Yet somehow I have a Pandaren? A not very high level one, mind, but I do have one. Did quite enjoy the couple of weeks I spent in the beta but didn't want to continue a character that would inevitably be wiped, nor did I want to get back into the normal game at the time. So I left! Warlords of Draenor has been out a long time now and the bugs in the Garrisons should be mostly worked out and I should have ample time to reach the level cap before Legion is released. Also, WoW Tokens! Theoretically pay for your subscription with in-game gold. I am kinda curious as to the viability of that, particularly for someone who hasn't been playing consistently, or even someone starting over. I may as well be starting over since my highest level character is 80 and flat broke. Or I could be scientific and start on a fresh server, no handouts from other characters, see if I can afford a WoW Token from scratch. See if I can even be bothered playing that long, unlike SWTOR. And what class should I try this with? And which race? And why don't any of my friends play WoW anymore? ... and why don't I ever get anything done? The latest of GamerGate's "operations" has launched and it's a website cataloguing factoids on games journalists and their outlets. Which is actually not a bad idea, something I suggested in my prior post on why GamerGate hasn't gone away. On Twitter it has been suggested by those supporting GamerGate that if people have issues with the project they should lay out their concerns, rather than resorting to rhetoric and angry dismissal. Again, not a bad suggestion! The problem is you don't even have to dig very deep to start finding serious problems with the DeepFreeze.it site. First and foremost, who is running the site? There is no indication anywhere on the site on who, specifically, is backing this. Is it an individual, group, company or extradimensional being? The site is supposed to serve us as a reference on who can be trusted in the industry, yet we have no way of assessing the trustworthiness of the source? I expect the usual excuses of "muh privacies" or "muh safeties" to be trotted out here, but when setting oneself up as an arbiter of truth it is simply not good enough. A quick whois search turns up "Stefano Eracliti" as the owner of the domain, which I assume is some form of pseudonym, since the name does not return results on Google, Twitter or Facebook. Or it might be one of those rare, truly unique names that has yet to appear online. Either way, it does not inspire confidence. Another glaring issue is the lack of any mention of behaviour which could be considered ethical or beyond reproach. Simple things like whether they disclose the provenance of games they review, or whether trips and accomodation were paid for, would be easy to add. Such things may not seem of great import next to other entries on the list, but it would present at least a facade of evenhandedness. This wouldn't be a problem if the stated goal was to create a list of unethical or otherwise questionable behaviour, of course, but they've gone out of their way to state objectivity as a thing they strive for. If the goal is to include factual information gamers might want to know before deciding whether to trust a journalist, why are all the entries I've checked only credited with "ethically dubious" notes? Now it may be that over time such listings will be added. If they are genuinely trying to do the job properly, I would expect nothing less. Yet you would think a site aiming to be an important, objective, resource would have spent some time investigating some at least neutral factoids to include on profiles before going public. They've gone to the trouble of creating profiles for people whose only "credit" is being part of the GameJournoPros mailing list, after all. And on the flipside, they've created an empty profile for Lauren Wainwright, someone who was actually run out of games journalism over ethical concerns. Conversely, a number of pro-GamerGate commentators are conspicuously absent. John Bain aka TotalBiscuit is not mentioned, despite having a much higher profile than many of the others on the list. He can't even escape that one with the "not a journalist" line since there's plenty of those on the list. Other notable absences include Erik Kain, Milo Yiannopoulos and Stardock CEO Brad Wardell. Some pretty conspicuous absences, don't you think? There's not even entries awaiting further details, as is the case for a number of others. Perhaps most tellingly there are a number of entries on people's lists for presumed use of the GG Autoblocker for Twitter. Yet the creator, Randi Harper, does not have her own page. A place where, for example, you could cite her as the creator of the thing you're making note of on other pages. Obviously such a listing will never be wholly complete. You have to start somewhere. But to parade around as an objective source on the trustworthiness of journalists and to be trumpeted as such, you need to be above reproach. And DeepFreeze seems far from achieving that, to the point of me being dubious they're genuinely trying. Also, you list people's names in alphabetical order based on surname, not first. Der. It's become the punchline among industry professionals to the movement widely known as GamerGate, and it's kind of vexing me that nobody is taking it seriously. Oh, not the wider "movement" or the disgusting behaviour being exhibited by many in and around it. No, it's deeply concerning that nobody seems to be taking the notion of ethics in our field seriously. When asked to cite the genesis of the movement most will posit it was either the beginning of Adam Baldwin's involvement and the creation of That Hashtag, or they will point to the bitter ramblings of an ex-lover and the assorted accusations arising from it. Both have certainly served as nucleation points for the whole fizzing mess, but the truth requires digging a little deeper. The common thread between both supposed starting points is that of alleged unethical behaviour within the gaming industry. What people initially latched on to was the belief that Zoe Quinn garnered undue attention for her game (Depression Quest) by sleeping with an assortment of men in advantageous positions. That it was probably untrue never mattered to a lot of gamers. It was the impetus people needed to start digging, looking for further confirmation of a long held belief that games journalists and developers are colluding with one another in a dishonest fashion. You see, GamerGate may have got its label and a level of coordination due to recent events, but the sentiment behind it has been boiling away for more than a decade. You could see it expressed in comments sections across the internet, where professional journalists would be accused of accepting kickbacks for positive coverage of a game, even when the games were generally well received. And why? Well, partly we have ourselves to blame. A large segment of the gaming commentary community (journalists, critics, bloggers, et al) are in the business because they're gamers. It's almost an extension of our hobby, even when we're getting paid for writing about it. And that's kind of a problem. Because it's primarily a fan based medium and the barrier to entry is so low, there's essentially no oversight. There's no central authority checking that everything is above board and nobody to lodge a complaint with, should anything suspicious be noticed. Equally, there's no central body "we", the commentators, can approach for a tick of approval. We can't pin a badge on our online presences to indicate a respected authority has approved of our standards, nor is there a centralised set of standards we can sign off on upholding. None of that means we're all unethical scumbags, of course. Far from it. As interested parties I'd argue we're actually less prone to corruption, since we don't want to see it happening any more than the general public. There'll be instances where people accept things they should not or are unduly influenced, but largely the people talking about games do it for the love of gaming rather than money or material goods. Yet this is why GamerGate persists. For as much as people want to paint the sideshow as anti-women or anti-minorities or anti-gaming, the core concerns run much deeper and have been around for much longer than you might think. And we're probably not making our best effort at addressing those concerns. Ultimately, it really is about ethics in game journalism. And I think we can do better than sweeping it under the carpet with a shared chuckle. HBO's sending an email out to people it suspects are secretly Australians who have subscribed to their service using sneaky, underhanded methods of giving them money and attention. Or so says SMH. On Thursday I'd finally decided to just subscribe to HBO Now. The price isn't great considering I really only want it for Game of Thrones, but the option is available to me with minimal fuss and I'd much prefer paying than pirating. The only alternatives in Australia being Foxtel (urgh!) or pirating it. Obviously piracy is free and easy once you know how, but recent legislation passed through Parliament might see the risk involved rise too high. (Read more on ABC.) Plus, well, it's immoral. And stuff. So it's down to the notorious exorbitancy of a Foxtel subscription, or edging around HBO's geo-locking. Let's do the Math of Thrones! Foxtel math is pretty straightforward. You could sign up for a full service and pay a couple of hundred dollars over the course of a year long contract (nope!) or you could get Foxtel Play, their online streaming service, for a much more reasonable fee. The minimum price for Foxtel Play with the additional package to get Game of Thrones is $30 per month for the first three months, then $45 a month thereafter. You get a free two week trial if you are a new customer and adding two months will get you to the end of the current Game of Thrones season, though just barely, if you time it right. Total minimum cost for Game of Thrones via Foxtel Play for new customers: $60 Australian. If you're not a new customer, you need three months, bringing the total to $90 Australian. HBO Now math is a little more complicated. Before you can even subscribe to it you need a service that allows you to appear to be in another country. I use UnblockUs because it's ridiculously easy to set up and doesn't interfere with other internet traffic, but there are many similar services. At $4.99 a month it's a good investment on its own as it will also unblock things like Hulu, BBC iPlayer, Spotify and Netflix - including letting you swap Netflix regions, if you're subscribed. After that's set up you also need a US iTunes account (free) and a method to fund that iTunes account. Most commonly this is a US iTunes gift card, but prepaid credit cards are also an option. Now you have access to the (much richer) US iTunes library you may want to buy other things too, but you will need at least $14.99 to start your HBO Now subscription. With HBO Now you get the first month free, meaning you will need to pay for at least two months in total to bring your coverage to three altogether - Game of Thrones is 10 episodes long. UnblockUs for 3 months ($4.99 x 3) plus HBO Now for 2 months ($14.99 x 2) comes to $44.95 US. Total cost for Game of Thrones via UnblockUs and HBO Now: $57.76 Australian right now, courtesy of XE's currency convertor. The Australian dollar has been falling a bit of late, but it's still cheaper even for new Foxtel customers to go the HBO Now route. If you're an existing or previous Foxtel customer then HBO is by far the cheaper option. Obviously this is not practical for everyone, but it's not terribly difficult and the content you get for the money is far and above that of the Foxtel offering. If HBO really does cut Australians off when they've actually been paying, well... why wouldn't I just pirate it? I did try to pay you. Apparently my money's only good if it filters through Foxtel's hands first? Get bent.